You can kill a product by placing it in cheap packaging. But fast food operators don’t think about packaging as a way to break away from the clutter. They operate in a very competitive market, and each restaurant fills its menu boards with similar items: cheeseburgers, mushroom burgers, pizza burgers, chicken tenders. While every restaurant tries to set its products apart from the competitions, in reality what it offers begins to look more and more like the competition’s. In effect, this strategy isn’t working. In general, fast food sales are flat across the industry. 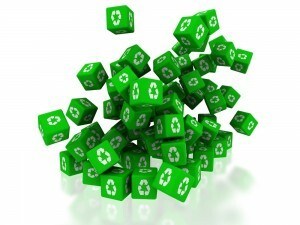 GreenDustries believes that if the content is more important than the packaging then the packaging is important. 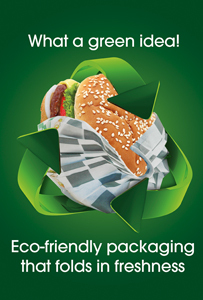 Fast Food Packaging should be used as a strategic tool to add value to the product and enrich the brand. People identify the burger through its packaging, appearance and taste. With one burger looking like the next in the blur of fast food menu offerings, packaging is the only way to truly stand out. Offering both attractive and functional packaging is a sure way to make customers come back to your business while also increasing their ticket sale, when the packaging produces the results they are looking for. The PleatPak and Magic Bag products are uniquely designed to contain the product so nothing drips out and to keep the heat in, which equates directly to taste. Those features equates to an emotional tie customers will develop with your brand once they understand that what you offer truly helps in their enjoyment of the meal. GreenDustries has put a great deal of time and effort into developing its products so that they meet the demands of the consumer. In an industry in which everyone is looking for something different, we often wonder why fast food puts so much time and effort in developing the product but falls short when it comes to packaging. The product and its packaging should be developed side by side. This will set the brand apart on the market and keep customers happy and coming back. And shouldn’t that be what it’s all about? My spouse and I absolutely love your blog and find almost all of your post’s to be what precisely I’m looking for. Would you offer guest writers to write content available for you? I wouldn’t mind writing a post or elaborating on some of the subjects you write related to here. Again, awesome web log! We are so happy to share our info with every one…. Come back to read more blogs! Not before 3 or 4 days. Do you have a spam issue on this blog; I also am a blogger, and I was wanting to know your situation; we have created some nice procedures and we are looking to swap strategies with other folks, be sure to shoot me an email if interested. We have tons of “spam”! We just erase them, what else to do? Thank you. I appreciate the post as the post is very interesting and informative…. Great Post!!!! Please keep on posting regarding the same…..